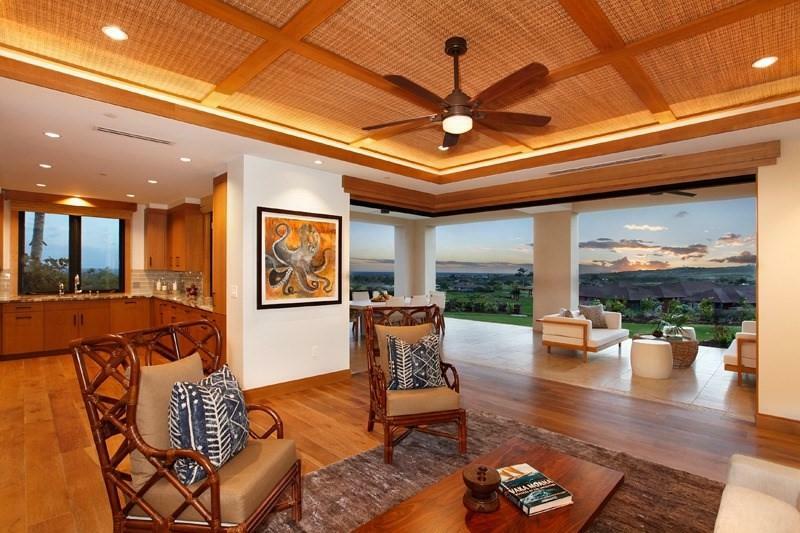 Kainani Villas sit above the 3rd and 4th holes of Kukuiulas Tom Weiskopf golf course, offering views of manicured greenery in the foreground, the Pacific beyond it and glorious sunsets every day. 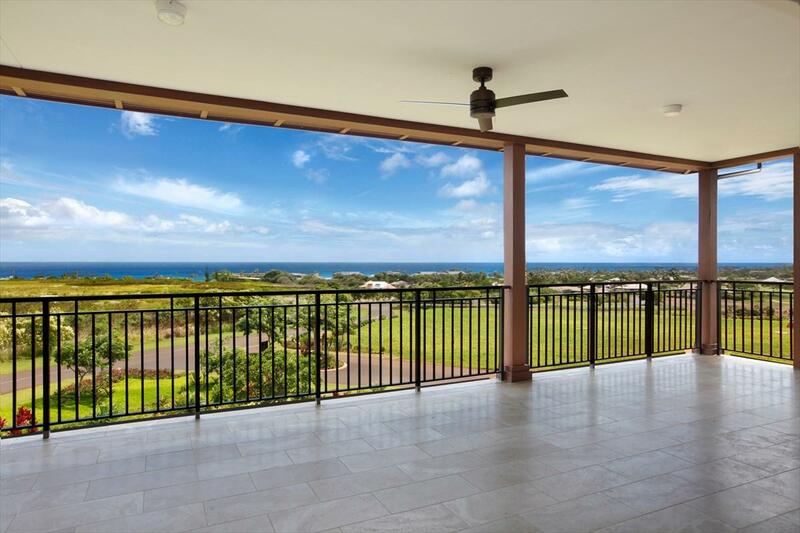 The land at this prime location has been thoughtfully organized and plotted so that lanais are sheltered from the trade winds, face the sunset and capture ocean views to the southwest. 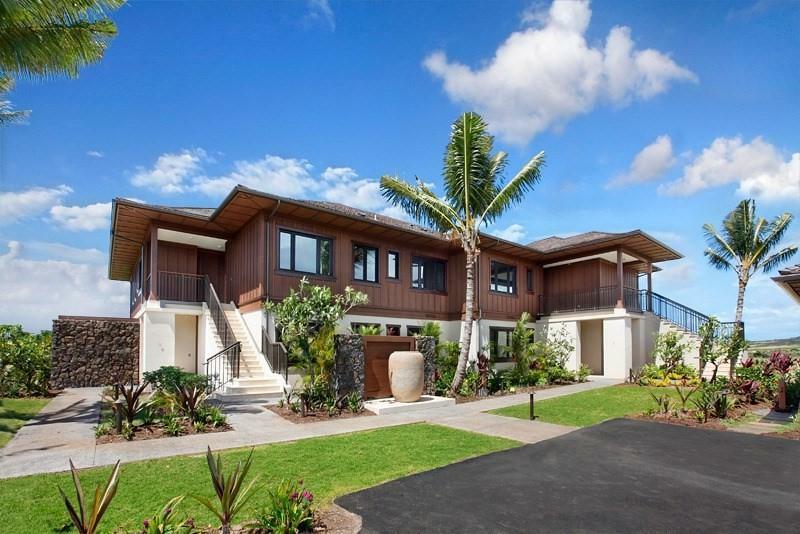 Its an ideal location.These 4-plex homes are designed by California-based Melzer, Deckert & Ruder Architects, which has created award-winning resort homes from Kona to Dubai. For Kukuiula, MDR designed the villas for maximum views and seamless indoor-outdoor living even from the ground floor. 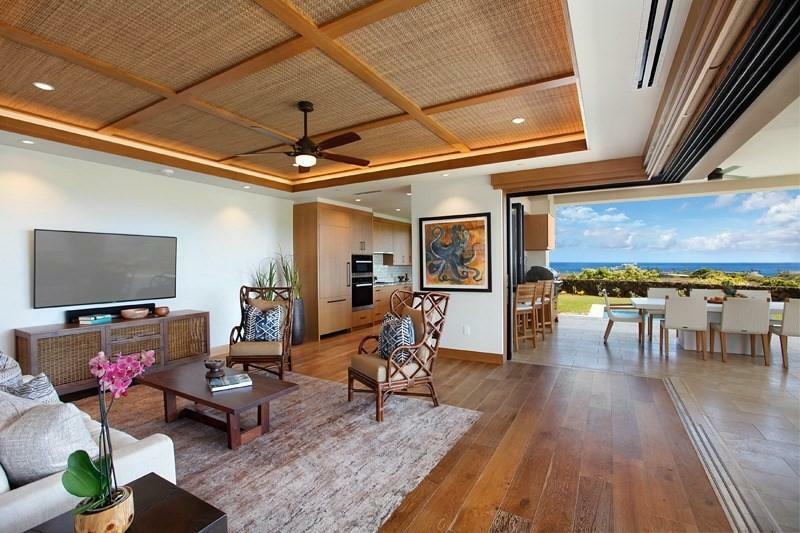 Two, three or four bedrooms provide room for family and friends.UNIT 8 TWO-BEDROOM UPPER LEVELSeamless indoor-outdoor island life with sweeping views of the ocean in the distance and an expansive lanai make upper villas highly desirable. This intimate yet spacious 2-bedroom, 2-bathroom home offers comfortable and effortless island living.Master suite with spa-inspired bathrooms featuring soaking tubs and contemporary vanityGourmet kitchen that open up to the lanai with bar seatingQuartzite kitchen and master bath counter topsStone tile bathroomsCustom hardwood cabinetry throughoutGrasscloth ceiling treatmentsDark palette finishesWood flooring throughoutMiele appliancesSliding and pocketing lanai doorsMulti-zone air conditioningBuilt-in BBQ on the lanai1-car garage with storageOptional turnkey furnishing package availableKainani is ideal for an island life thats private but close to Plantation House, the spa and fitness center, golf clubhouse and the Shops at Kukuiula.